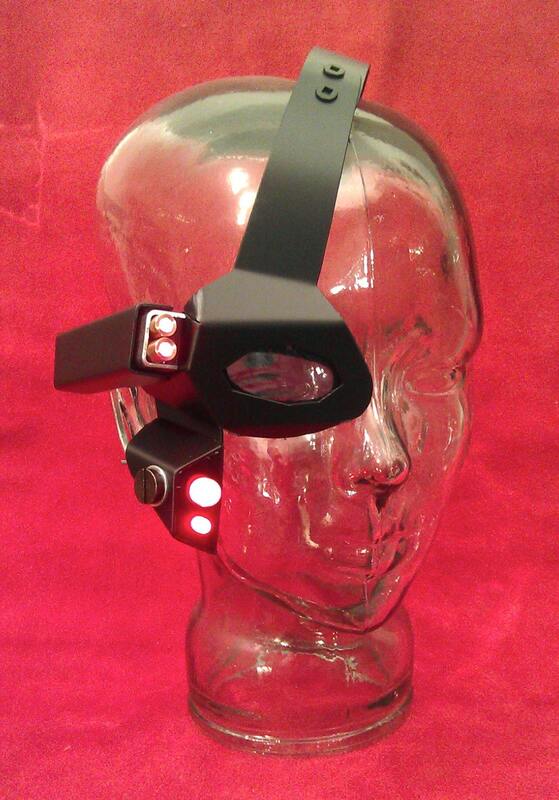 Cyborg dual laser metal eye scope with black finish. Takes 2 “N” batteries (included). Features two 5mw adjustable focus lasers. Constructed from durable aluminum with black fabric padding on the inside. Eyepiece is made of sunglasses material allowing you to see through it normally. 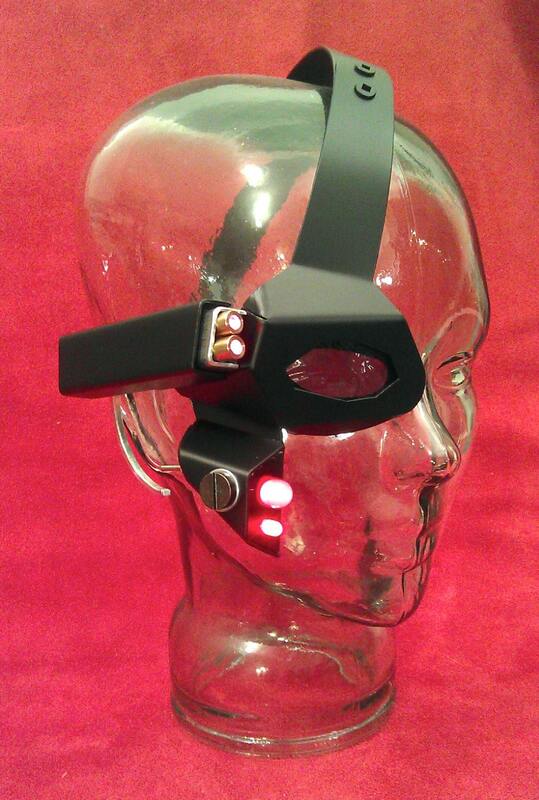 LEDs and lasers are activated by a small toggle switch near the cheek. 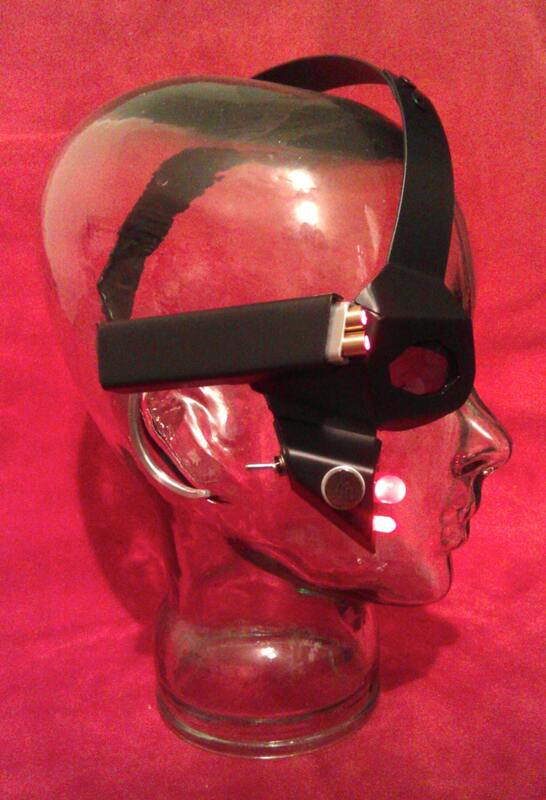 Adjustable ear piece and head band, one size fits all. This item can be made in a variety of colors, choose from the drop down menu. High quality metallic colors available like copper, brass, and gun metal grey. Extra set of batteries can be added, choose from the options menu. WARNING: Lasers can permanently damage your vision, take care you do not shine them in people’s eyes.